China’s new home prices increased at a firm pace in September, supported by gains in smaller cities and showing the market remained resilient despite pressures from softer investment, a slowing economy and government curbs on the sector. Average new home prices in China’s 70 major cities rose 0.9 per cent in September from a month earlier, Reuters calculated from official data published on Saturday, slower than the previous month’s reading of 1.4 per cent, which was the fastest growth in two years. Compared with a year ago, however, new home prices climbed 7.9 per cent, the quickest year-on-year gain since August 2017 and faster than the previous month’s 7 per cent rise. Prices continued to rise despite tougher curbs designed to rein in a near-three-year real estate boom that has spilled over from megacities to the hinterland. In a sign of continued broad-based market strength, 64 out of the 70 cities surveyed by the National Bureau of Statistics (NBS) reported a monthly price increase for new homes, though the number was down from 67 in August. While solid growth in the sector could cushion the impact of a vigorous multi-year government crackdown on debt and escalating trade tensions with the United States, it could also stoke fears of a bubble if prices climb aggressively. Real estate has been one of the few bright spots in China’s investment landscape, partly due to robust sales in smaller cities where a government clampdown on speculation has not been as aggressive as it has in larger cities. 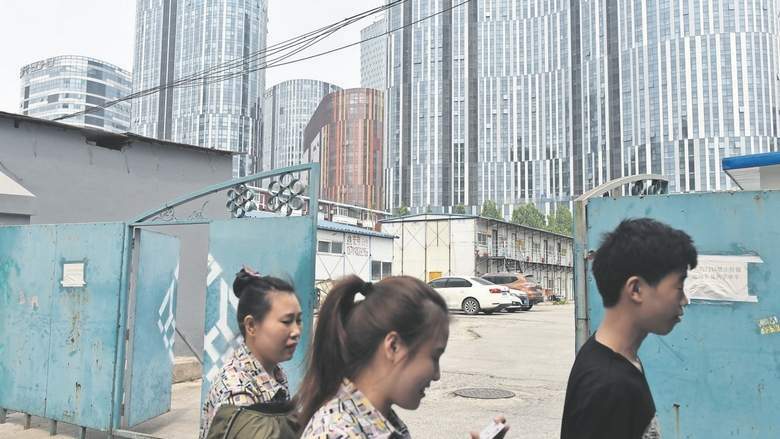 Xia Dan, an analyst at Bank of Communications in Beijing, warned market expectations for property prices was moderating as the government tightened its property market controls. “There are increasing uncertainties about the future trends in the housing market,” Xia said. There have already been some signs of caution in the market, as authorities stepped up controls in hundreds of cities. Transactions fell sharply over the period dubbed “Golden September and Silver October”, traditionally a high season for new home sales. Prices in China’s largest cities where the strictest control measures are in place, were mostly stable in September, though Guangzhou prices rose 0.4 per cent on-month and 4.3 per cent year-on-year. The top price performer in September was Xian, the capital of China’s northwestern Shaanxi province, whose prices rose a blistering 6.2 per cent from the previous month, NBS data showed. Official data this week showed growth in China’s real estate investment eased in September while home sales fell for the first time since April, as developers dialled back expansion plans amid economic uncertainties and as additional curbs on speculative investment kicked in. Real estate investment, which mainly focuses on residential but also includes commercial and office space, rose 8.9 per cent in September from a year earlier, compared with a 9.2 per cent rise in August. Property sales by floor area fell 3.6 per cent in September from a year earlier, compared with a 2.4 per cent gain in August, according to Reuters calculations, the first decline since April. In year-to-date terms, property sales rose 2.9 per cent in the first three quarters.